Interested in venting your property properly? Need help with an existing vent issue? We'll be there in a flash! When it comes to putting a hole in your roof on purpose, you want to ensure that the job is being carried out by the best possible source. At Fort Collins Roofing Service, we aspire to lead the way when it comes to your roofing needs, and in matters of vents, we are the highest quality install and repair crew you will find. With years of experience, and a service that aims to consistently exceed your expectations, you can trust in our company to deliver you the best possible service when it comes to your Fort Collins home ventilation needs. According to the FHA (Federal Housing Administration) your roof should have a foot of ventilation for every hundred cubic feet of attic space. This allows your home to breathe and keep away condensation that can build up in your attic space. This is a serious issue that should not be overlooked, as build up in your attic can cause all manner of issues throughout your entire home. 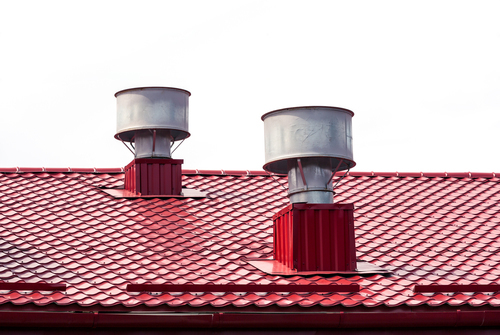 Proper ventilation can also protect your eaves, deck and shingles. Having an experienced and professional service overlook your placement and amount of ventilation space can open new realities to potential damage down the road. 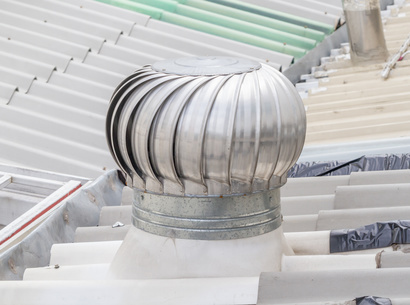 Fort Collins Roofing Service is well versed in all manner of ventilation repair, and if your vent system on your roof is in disrepair, we also know the amount of further damage it can lead to. With a real possibility of leaks into your home, the damage trickles down and affects your entire house. Having a proper inspection, assessment and treatment of the damage will not only take care of the matter at hand, but possibly save you countless other major expenses down the road if the issue isn't dealt with in a timely manner and proper fashion. If you bought a home that has an attic but no ventilation, you can consider it a time bomb of potential repair bills. Having your attic space assessed and a proper vent placed in will save you much more than money in the long run. With a wide variety of issues stemming from lack of ventilation, it is almost an absolute must for your home. Our company is prolific and experienced with all manner of inspections, measurements, and information to have your home properly ventilated, and keep you, your home and your family safe for many years to come. Throughout rain, wind, and snow, a properly installed or repaired vent system through Fort Collins Roofing Service, will provide you with a safe and effective addition to your home. By bringing a wealth of experience to every job site, you can put your trust in our company to bring you nothing but the best service. It is our ambition to see every home in Fort Collins and the surrounding area with a roof they can count on to protect their home and families. And we take great pride in the service we offer to the residents of this fine city. Give us a call today for a free consultation on your roof and attic ventilation needs!